With the preferred method of shopping moving to online sales for so many these days, can you afford to not sell online? Internet credit card processing is exploding in popularity with merchants because it’s fast, cost-efficient, and secure. More and more every year, customers are preferring to skip the hassle of traffic, long lines, and higher prices at brick and mortar businesses, and shop online for convenience, and comfort. 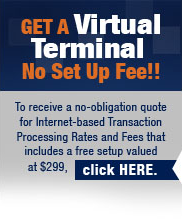 Veritrans is proud to offer the latest internet credit card processing systems, making it easy for you to accept credit and debit cards online. From a simple gateway tying your website to a card processor, to a Point of Sale system that monitors your inventory, and sales both in-store and online. Simplifying your life, saving you time, and maximizing your investment in your business. Call us today for a free consultation on what best fits your needs, at 1-866-474-4144 for more information.